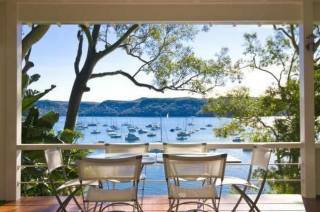 Magnificent romantic hide away, right on the water. Minutes from Avalon Beach. Interior designed boat house. 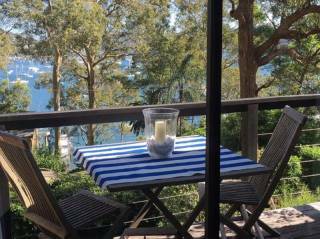 One romantic bedroom with stunning views across Refuge Cove. All entertainment systems inc. tv, dvd, music system. Down spiral staircase to kitchen breakfast room. Leading through to shower room. 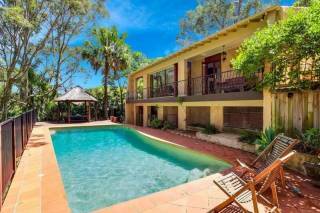 Full width windows to beautiful sundrenched patio with day bed, bbq, wine cooler and out door spa with bar fridge at hand. Down a few steps to your very own beach. Fish of your very own jetty or use the two kayaks to explore this unique little corner of the world. Catch a water taxy to waterfront restaruant's. 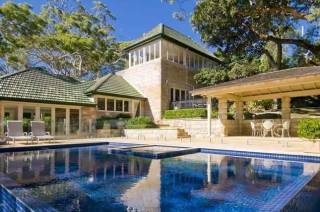 Or take a 4 minute walk to Clareville Beach "where Home & Away is often filmed" see picture and enjoy the Clareville Kiosk one of the best restaurant's on the Northern Beaches, but you will have to book! Or have lunch at Bay View right on the water until the sun disappears. 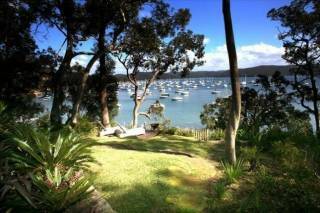 It is also part of the property "Beaches on Pittwater 2" listed separately under Clareville. So if you would like to book the whole waterfront please email us a booking request. 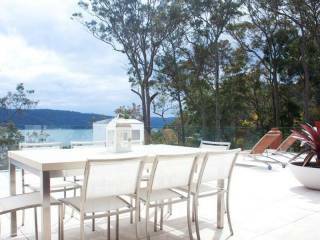 High Season One week minimum applies for Christmas and New Year periods, school holidays (price on application). Long stay rates available.